The S&P CoreLogic Case-Shiller national home price index saw a 4.3 percent annual gain in February, down from 4.6 percent the previous month. 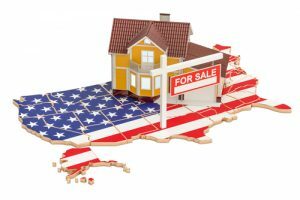 The Index notes that January 2019’s data indicates that the rate of home price increases across the U.S. has continued to slow, with the the 10-City Composite annual increase came in at 3.2 percent, down from 3.7 percent in the previous month. The 20-City Composite posted a 3.6 percent year-over-year gain, down from 4.1 percent in the previous month. According to Corelogic Deputy Chief Economist Ralph McLaughlin, this data indicates the spring homebuying season to be “one of balance,” and he expects to see a four percent index growth in February. Given Case-Shiller’s data, Tian Liu, Chief Economist at Genworth Mortgage, is not optimistic about the future of home prices, citing higher home values and rising interest rates in recent years, and the end of 2018’s slowdown in buyer activity. Realtor.com Chief Economist Danielle Hale is more optimistic. According to Hale, inventory growth and the buyer’s market suggest a healthier market. “While 2018 started with a real estate frenzy and ended with a fizzle, 2019’s slow start could pick up the pace later in the year, and in fact, February’s existing home sales suggests this recovery is already underway,” said Hale. LendingTree Chief Economist Tendayi Kapfidze notes how the housing market’s growth may impact the economy as a whole.